WISCONSIN RAPIDS, WI – If a disaster were to hit our community – and you were okay – would you volunteer? Volunteering during a disaster is a way to help bring the community back to normalcy and to help our friends and neighbors. One way to volunteer during a disaster is to assist in the Disaster VRC – or Volunteer Reception Center. 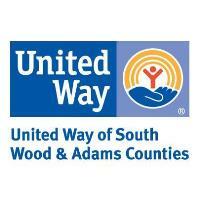 In partnership with Wood County Emergency Management, United Way of South Wood & Adams Counties’ Volunteer Center will be conducting a Disaster VRC training on March 13 and 14, from 5:30pm to 7:30pm both nights. The event will be held at the Town of Sigel Municipal Building at 3678 Town Hall Rd., Wisconsin Rapids. Day one of our VRC training will consist of lecture, where we will be discussing what happens during a disaster, what we do at the VRC and why it is important. Day two will be a hands-on exercise. At the conclusion of the training, each participant will be asked to join the VRC team. To register for the training or for more information, please contact Angie Loucks, Volunteer Center Director at 715-421-0390 or angie@uwswac.org. The deadline to register is March 11, 2019. Space is limited to 30 participants. Disaster VRC volunteers conduct mock interviews during the 2018 VRC training.